Several years ago, when we used EJB 1 and 2 to build our applications, reducing the number of remote method calls was important. Nowadays, we use other technologies and design our systems differently so that we no longer need DTOs in their original form. But that doesn’t mean that you can forget about the pattern. Its definition has evolved, and you can find DTOs in almost all applications. They are used as a specialized class to transfer data that you selected in a database query. Now, the goal of a DTO is to read the required information with as few database queries as possible and to provide it in an efficient and easy to use form. That’s still pretty close to Martin Fowler’s definition, isn’t it? Let’s take a look at an example of a typical DTO. If you’re building an online book store, you probably have a Book and an Author entity and a many-to-one association between them. These entities model all information about books and their authors. But when a user searches for a book by its title or author, you don’t need all this information. On the search result page, you probably only want to show the title, price, and the name of the author. This is where a DTO class comes into play. It’s a simple Java class that you can specifically design for this use case. So, in this example, the BookWithAuthorNames class only has the 4 attributes that are required for the search result page. These are the id, title, and price of the book and a String with the name of the author. This representation is obviously easier to use and more efficient than a Book entity with a List of associated Author entities. The DTO only contains the required information, and it already concatenated the author’s first and last name into a String. Let’s now take a closer look at how your persistence provider creates a DTO projection and how you can use them in your queries. Your database and the SQL language don’t know about your Java classes. They only know tables, columns, views, stored procedures, and other database-related concepts. So, your persistence provider, e.g., Hibernate or EclipseLink, need to handle the DTO projection. It does that when it processes the result set of your query. Instead of mapping each row to an Object, your persistence provider calls the constructor of your DTO to instantiate a new object. So, you need to make sure that your DTO always has a constructor that matches the columns selected by your query. But more about that later. After you defined your DTO class, you can use it as a projection with JPQL, criteria and native queries. For each kind of query, you need to define the DTO projection differently, but the result is always the same. Your persistence provider instantiates a new DTO object for each record in the result set. JPQL queries offer a feature called constructor expression. With such an expression you can define a constructor call with the keyword new followed by the fully qualified class name of your DTO and a list of constructor parameters in curly braces. 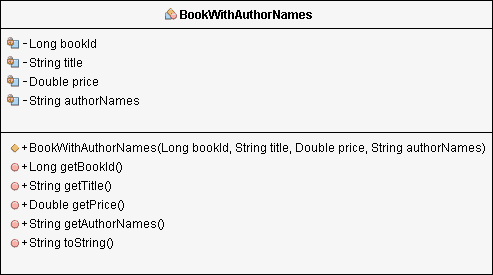 Here you can see an example of a query that returns a list of BookWithAuthorNames object. I provide the fully qualified class name, reference the Book entity attributes id, title and price and use the function concat to concatenate the firstName and lastName attribute of the Author entity. Based on this constructor expression, Hibernate tries to call a constructor on the BookWithAuthorNames object that takes a Long, a String, a Double and a String as parameters. 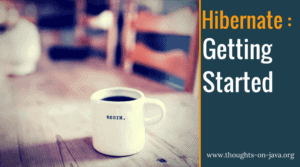 When you execute this query and activate the logging of SQL statements, you can see that Hibernate generated an SQL query that selects the required database columns and concatenates the author names. You define a DTO projection in a CriteriaQuery in a pretty similar way as you do in JPQL. But instead of using the new keyword to specify the constructor call in a query String, you call the construct method on the CriteriaBuilder with a reference to the DTO class and a List of constructor parameters. The following code snippet creates the same query as you saw in the JPQL example. 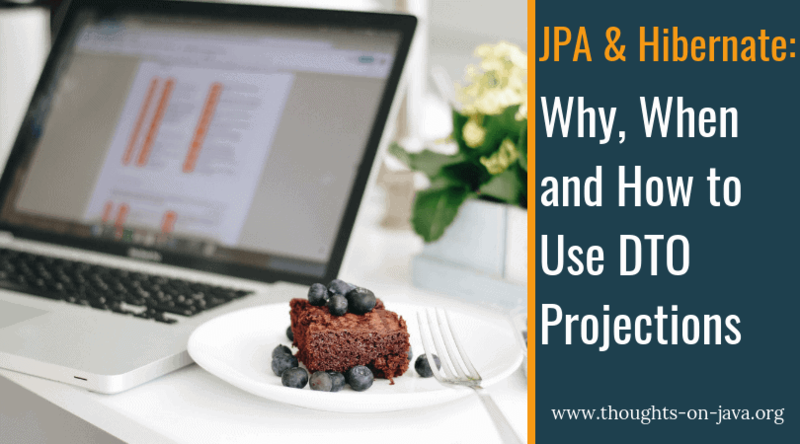 The Author_ and the Book_ classes are part of the JPA metamodel and enable you to reference entity attributes in a typesafe way. And when you execute the CriteriaQuery, the query looks the same as in the JPQL example. Hibernate sends native SQL queries directly to the database and doesn’t parse them. That’s one of the reasons why you can use all the features supported by your database in a native query. But that also means that you can’t use a constructor expression to define the DTO projection within your query. You need to define an @SqlResultSetMapping instead. I explained these mappings in great details in a previous series of articles (part 1: basic mappings, part 2: complex mappings, part 3: constructor mappings, part 4: Hibernate specific mappings). Let’s focus on the DTO projection. The mapping follows the same basic concept as the previous ones. But this time, you define it using an @SqlResultMapping and a @ConstructorResult annotation. As you might guess from its name, the @ConstructorResult annotation defines the constructor call and you need to provide a reference to the DTO class and an array of @ColumnResult annotations, which specify the constructor parameters. After you defined the @SqlResultSetMapping, you can implement your native query and provide the name of the mapping as the 2nd parameter of the createNativeQuery method. When you execute this native query, Hibernate sends the defined SQL statement to the database and uses the @SqlResultSetMapping to map the retrieved SQL result set. All of the previous examples used a custom DTO class. That’s a good approach, if you want to send the result to a client or if you process it in a different part of your application. But it’s also an unnecessary overhead if you only want to execute a query and immediately process the result. In that case, a Tuple projection might be the easier option. JPA’s Tuple interface provides a generic and comfortable way to access the elements of a query result. You can use it to access the elements by their index or alias, and you can provide additional type information to cast them automatically. As I will show you in the following sections, you can use the Tuple interface with all 3 types of queries. If you want to use the Tuple interface in a JPQL query, you need to provide a reference to the interface as the 2nd parameter of the createQuery method. And you should also define an alias for each selected entity attribute. You can then provide this alias to the get method of the Tuple interface to retrieve the selected value. As expected, the Tuple projection doesn’t have any effect on the generated SQL query. A CriteriaQuery that returns a Tuple interface is pretty similar to one that returns a DTO projection. Instead of the DTO class, you now create a query that returns a Tuple interface. You can then use the multiselect method of the CriteriaQuery interface to select multiple entity attributes. If you want to access the elements of your Tuple by their alias, you need to specify the alias while selecting them. After you executed the query, you can use the get method of the Tuple interface to retrieve the selected elements by their index or alias. If you run this code, you can see that the Tuple projection doesn’t affect the generated SQL statement. 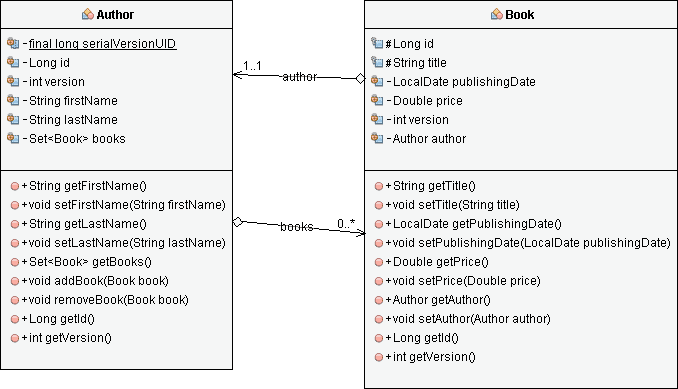 Hibernate selects the referenced entity attributes and concatenates the first and last name of the author. It then maps each record of the result set to a Tuple instance. You don’t need to provide an @SqlResultSetMapping if you want to use a Tuple projection with a native SQL query. You only need to reference the Tuple interface as the 2nd parameter of the createNativeQuery method. And to make it even better, in contrast to the previously discussed JPQL and Criteria queries, you don’t need to provide an alias, if you select a simple database column. When you execute this code, Hibernate sends the defined SQL query to the database and maps each record of the result set to a Tuple instance. DTOs are the most efficient projection for read operations. You should, therefore, use it whenever you don’t need to change the requested data. In JPQL, you can use the new keyword to define a constructor expression. The construct method of the CriteriaBuilder interface enables you to specify a constructor expression for a CriteriaQuery. Native SQL queries require an @SqlResultSetMapping to define the mapping of the query result to one or more DTO instances. If you don’t want to implement a custom DTO class, you can use the Tuple interface with all 3 kinds of queries.